Home to the world’s top innovators and forward thinking leaders. TEDxMonteCarlo is a full-day conference that takes place once a year in Monte-Carlo, Monaco. It is designed to give our community, organizations and individuals the opportunity to spark conversations and share ideas through TED-like experiences at the local level. True to the format of TED conferences, TEDxMonteCarlo will bring at least 10 speakers each year to share ideas that matter in any discipline – technology, entertainment, design, science, humanities, business, development. We are currently hosting four TEDxMonteCarloSalon events to keep our community engaged between our main flagship events. Though being the 2nd smallest country in the world after the Vatican, Monaco with its 36,000+ residents has some of the world’s most influential scientists, business innovators and athletes in the world. Monaco has over 50+ years of coral and marine research, record breaking electric engines, underwater living designs, exemplary arts and a star football team. Moreover, Monaco has vowed to contribute to some of the world’s most pressing societal problems, by implementing local solutions and leading by example. TEDxMonteCarlo wants to bring people together innovators, visionaries, (world) leaders, problem solvers, to discuss ideas that are or will be shaping our future. With over one billion application sweeps and over 100 mobile phone interactions per person daily, we live in a world where our youth, our minds and our surroundings are creating the need to adapt faster than ever. Furthermore, our society’s and community's footprint is changing globally and if we work together, the benefits will surpass the problems through collaborating and working with each other’s strengths. As quoted in our local journal “It is not acceptable to build our prosperity to the detriment of future generations”. Sparks will happen at TEDxMonteCarlo, connections will be made, and seeds will be planted for ideas to find their natural momentum. Add yourself to our mailing list to stay up to date. In the spirit of ideas worth spreading, TED has created a program called TEDx. TEDx is a program of local, self-organized events that bring people together to share a TED-like experience. 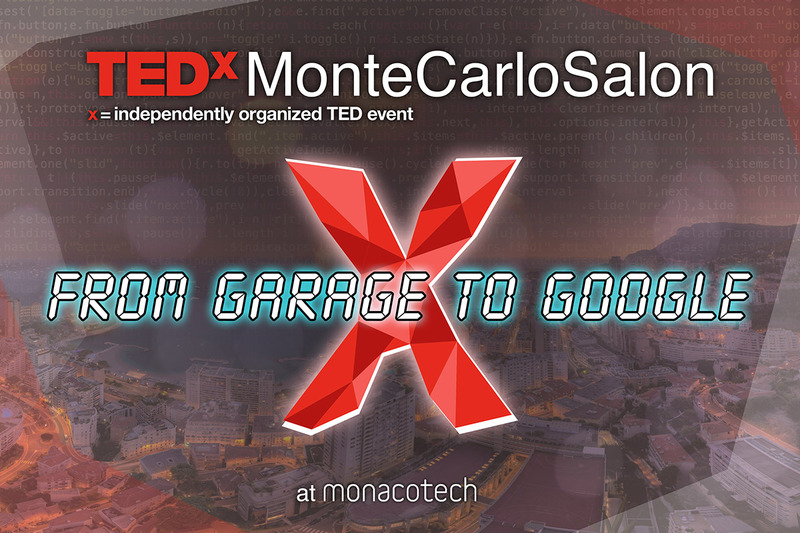 Our event is called TEDxMonteCarlo, where x = independently organized TED event. At our TEDxMonteCarlo event, TEDTalks video and live speakers will combine to spark deep discussion and connection in a small group. The TED Conference provides general guidance for the TEDx program, but individual TEDx events, including ours, are self-organized.